With four months under my belt as a temporary New Yorker I have had a handful of family and friends come down to stay with me. Maybe they like me or maybe they are just trying to save a buck on accommodations but as a result I have done just about every touristy thing more than once. That is the great thing about sight seeing in New York, no matter how repetitive the trip I get to witness each person's unique perspective to the same spots within the City. The things they enjoy, catch their attention, captivate their imagination and absorb their money. Below are two works that sort of sum up what I am trying to say. Both artists are incredibly talented but view the city in completely different manners. I realize they are not the exact same location by any means but the interpretation of the city captivates me. The first is a rendition by eBoy (Kai Vermehr, Steffen Sauerteig and Svend Smital). 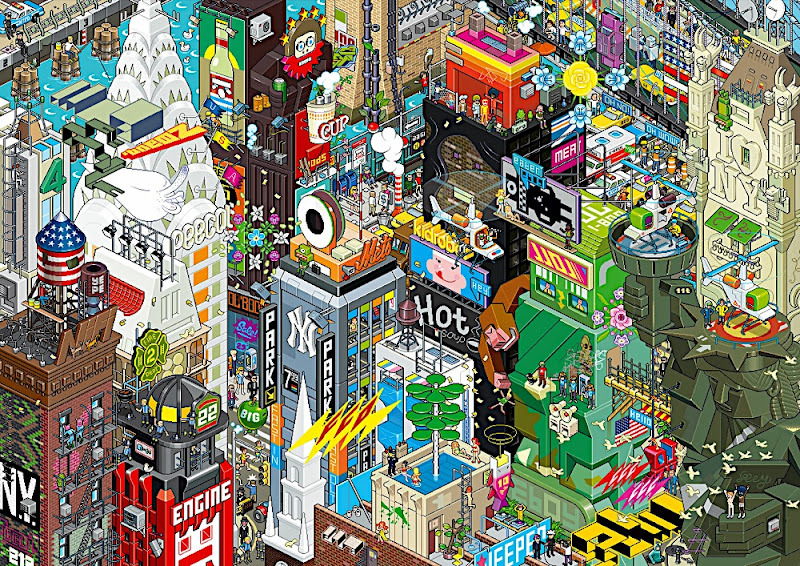 The highly pixel-centric works creates a very colorful and playful portrait of Uptown New York. The specific work is available for purchase here for €20 (472" x 33"). I was unfamiliar of the second artists until he came into the shop the other day with this print. Noel Spirandelli is a relocated San Francisco resident now focusing his time on fashion photograph in New York City. 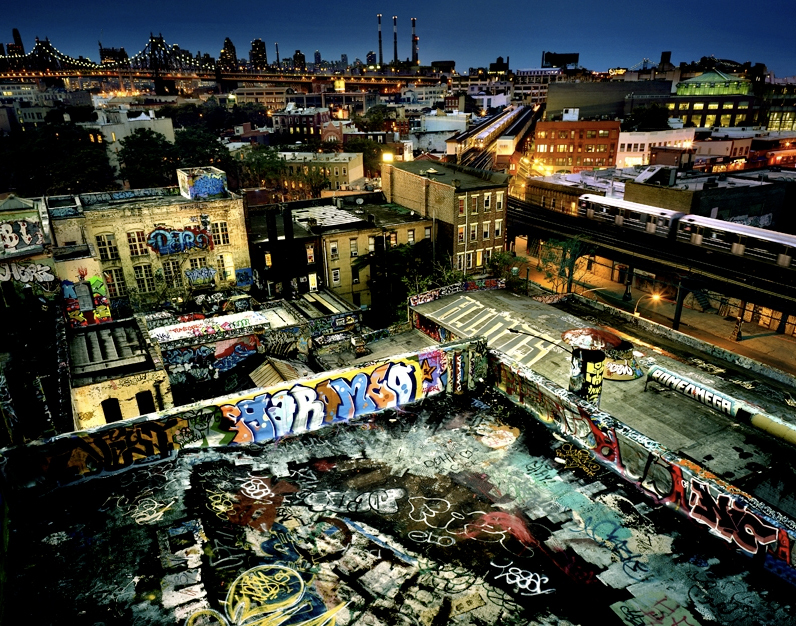 His rooftop shot creates a romanticized illustration of stereotypical New York City block. You can view his work here.